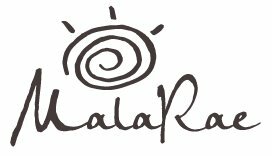 MalaRae jewelry that has been worn, including both bracelets and malas, cannot be returned or exchanged as they carry very specific energetic qualities. From the moment your item is delivered, you have 7 working days to return or exchange any unworn jewelry that still has its tags. For returned, the purchase amount, excluding shipping if applicable, will be refunded. For exchanges, the purchaser is responsible to cover the cost of return shipping. If your mala breaks within 7 days of arrival, or arrives broken, please contact us right away for an exchange. In this case, we will cover the cost of shipping. Please note: Items purchased on sale or at a discounted rate are considered final sale and are not eligible for refund or exchange. Malas that are broken (i.e. as a result of breaking a “karmic” cycle) can be sent back once for repair at no extra cost up to 60 days after purchase. Bracelets and wraps can be sent back once for repair for up to 30 days after purchase. After which, there will be a minimal charge to repair malas, bracelets and wraps. Repairs may take between six to eight weeks to complete. Shipping costs are not covered. MalaRae is not responsible for any items lost in the repair or shipping process.